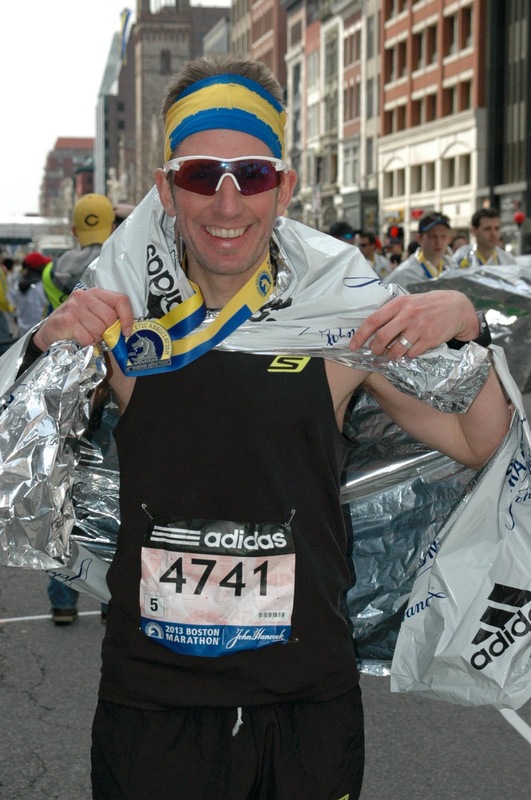 Althoughcat this year's Boston Marathon I did a personal best; a sub 3, my most perfect race and for the first time representing Skechers Performance Division, none of that feels very important in the face of the tragic events that ended the race. My thoughts and prayers go out to all the victims in Boston! How do you really respond to such a horrible act? I would love to be happy about my time and performance but my feelings are bittersweet. I know the best thing to do is, to honor the victims with your hard work and running, to come back next year doing your best and run stronger then ever! I had a perfect day, I had done all the preparations right and the weather was just right and for the very first time I was representing Skechers! For Boston I was wearing my black racing outfit and a pair of Go Run Speed. I knew I had the best possible gear out there, thanks to Skechers. 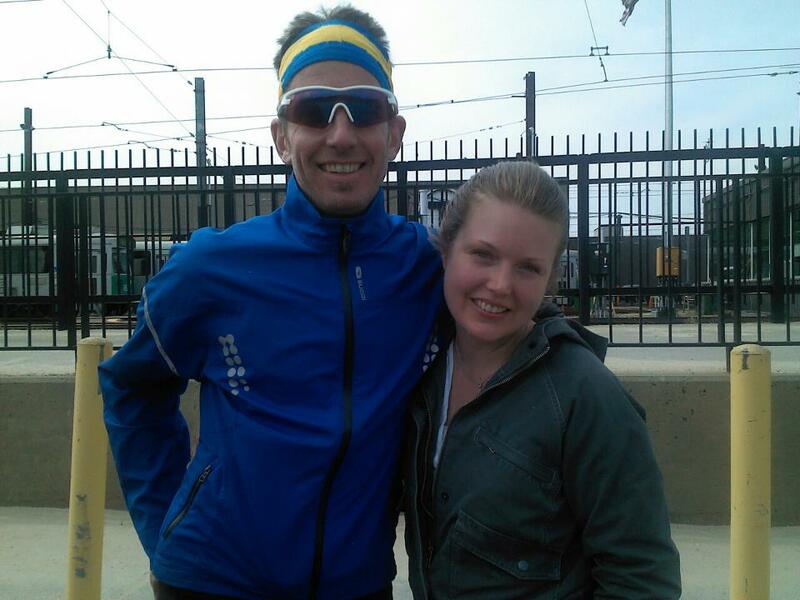 I had decided and tested the Huma Chia seed gel before the race, which is such an awesome gel. In my opinion the best tasting gel out there, so natural and you can really feel the "kick". Its the first gel I actually can say you can feel the difference. I also like to mention Bolle eyewear, the Vortex felt great in the sun, no issues with fogging up. Nice shades! In my past Bostons Marathons, I have been opening up a bit too fast. 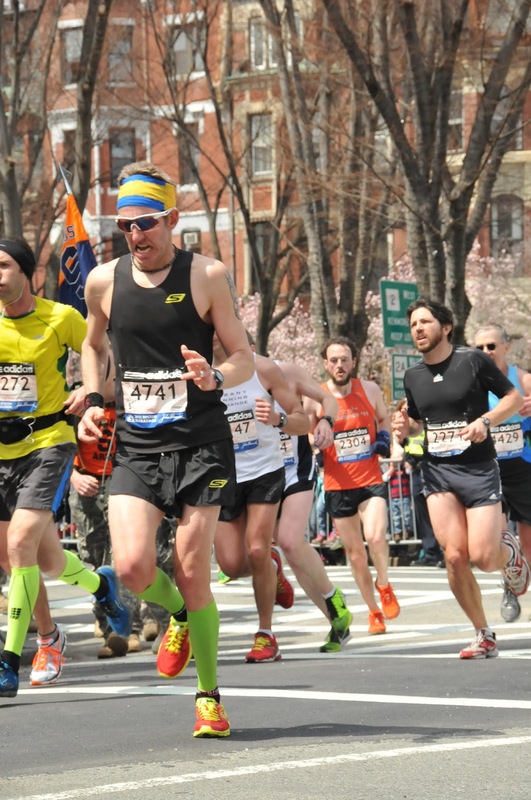 Boston Marathon is known for its brutal start with all the downhills. Its during the first 10 miles that you blow your legs up but this year I was able to control my pace. I was careful and it actually felt really good, very easy.. The temperature was right but I could tell it was getting warmer. Half way I passed right under 1.29, maybe to close to 1.30 but I felt it was under control and I was hoping to do negative splits. right after mile 13 I knew my family and wife Erin would be cheering. That's always a motivational booster to see them and get some extra energy! Mile 13-16 is relatively flat and I was hoping to save some energy, but around mile 15 I started to feel a bit of fatigue. I was getting worried and negative vibes started to act up in my head. But over the hills in Newton I managed to get energy back, just by controlling my pace and cruising past some of the runners who had opened up too fast. My legs felt better and I kept a decent pace over the hills (thanks to my friend and coach Reno who has been drilling me hard over the hills all winter long) After Heartbreak its mostly downhill and I tried to open up my gait and loosen up. I was focusing on the mile marks, setting up new goals to keep pace. I was counting down and was looking forward to seeing famous landmarks like Fenway Park. At this point shoes are very important and my Skechers GoSpeed run was like an extension of my feet, I could not notice them and they gave me such a great response. At one point around mile 23 I thought it was going to be an easy last three miles to complete the sub 3, but the time was flying by, I had to pick up the pace! The last two miles I had to finish hard to reach my goal and on Boylston Street finally finished my first sub 3! The feeling was incredible to finish strong and to see the 2:59:47. No terrorist in the world can take that feeling away from me! Im still shocked after what happened to all those innocent people and kids. I'm sure Boston will come back stronger then ever to honor those victims. I know I will, stronger then ever to honor them! Im looking forward to meeting all those fantastic Bostonian's again and high five all those happy kids!